Where Can I Find the “Ducksfoot” Strain? 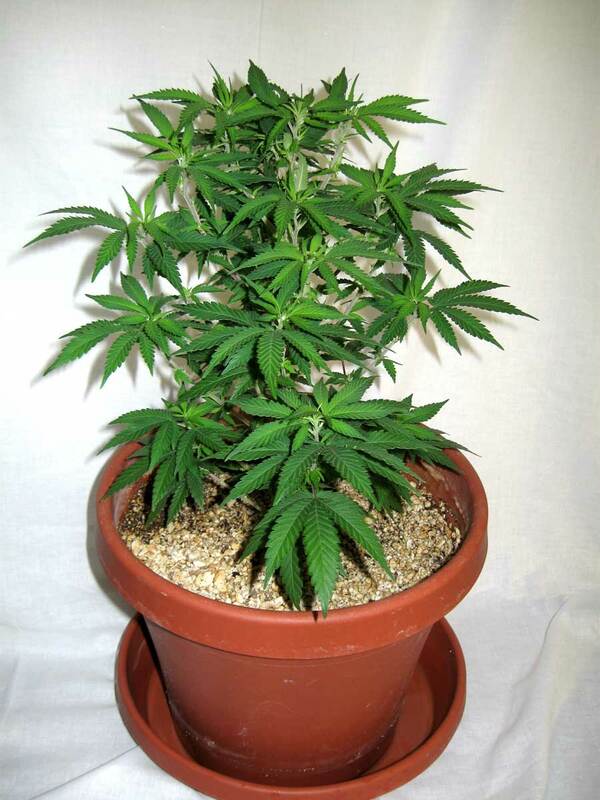 Get a Cannabis Strain with that “Regular Plant” Look! 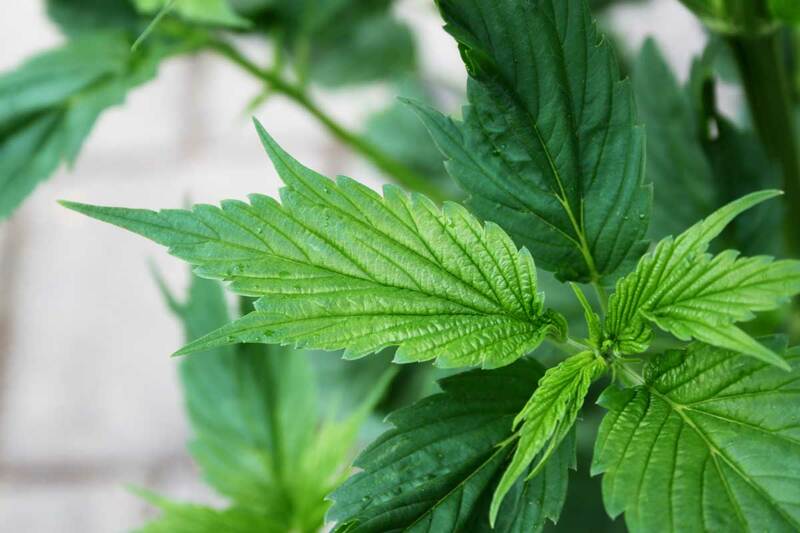 Did you know that some strains don’t look like traditional cannabis plants? 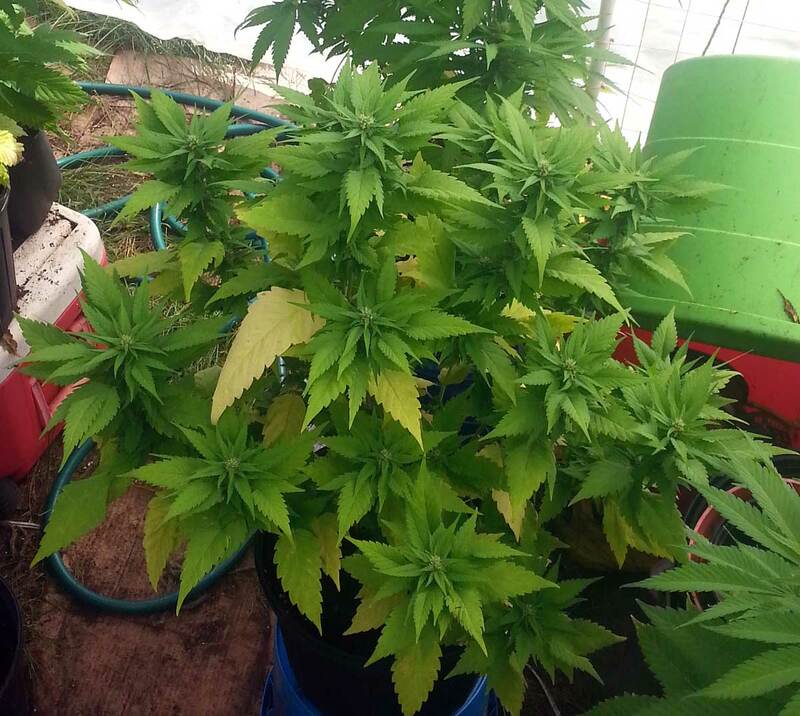 These plants take advantage of a leaf mutation that causes leaves to grow in a different shape than standard cannabis plants. As a result, if you’re growing cannabis outdoors a strain like this may make things just a little less suspicious at first glance! 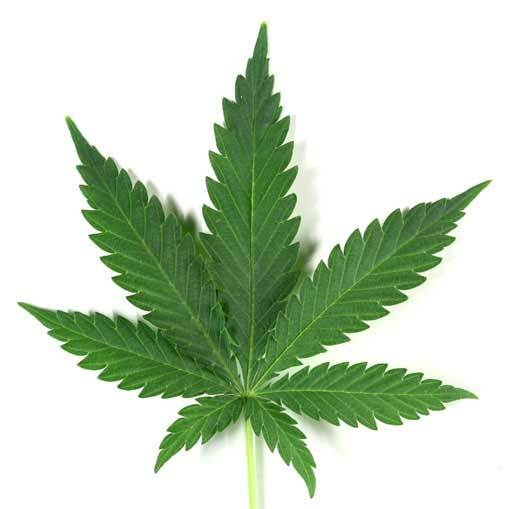 Cannabis leaf with Ducksfoot mutation – it almost looks like the webbed foot of a duck! Here are examples of the legendary Ducksfoot strain (the original). 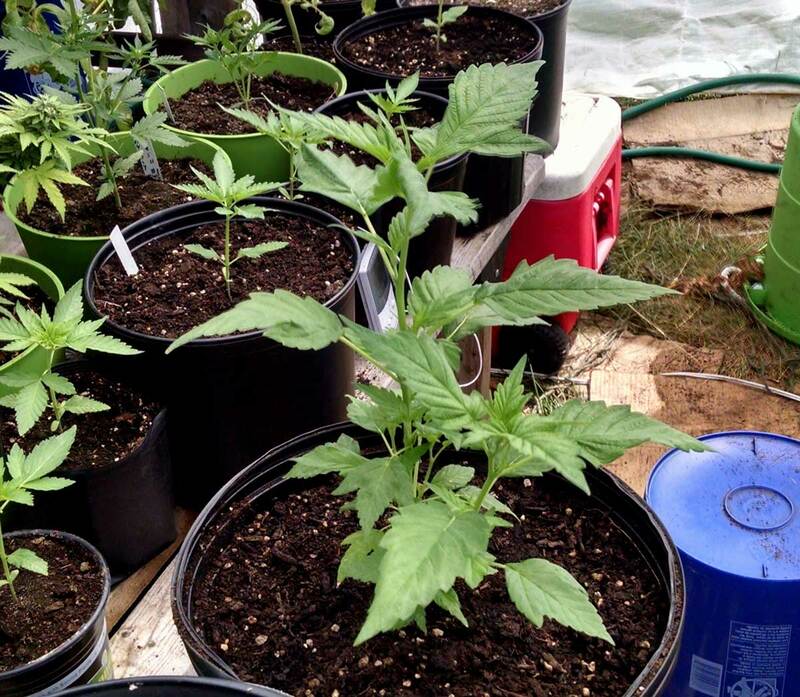 These plants don’t look like cannabis at first glance! 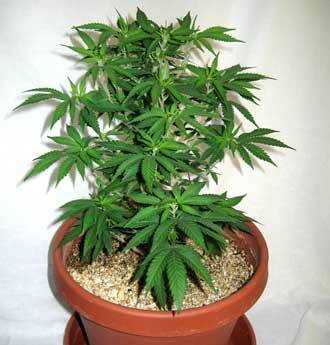 Unfortunately the original Ducksfoot s a “clone-only” strain which means you cannot purchase it as a seed. However there are variations of Ducksfoot with similar leaves that are available as seeds (more info below). In this next picture by kamyo only two of the four seedlings have Ducksfoot-style leaves. 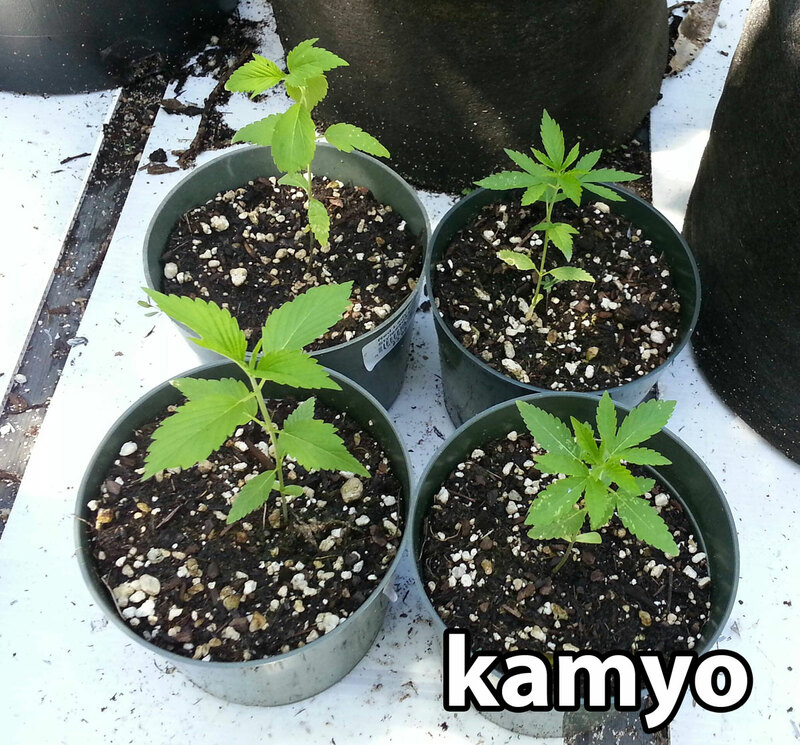 The two seedlings on the left have the Ducksfoot mutation, and the two seedlings on the right have standard marijuana leaves despite being the same strain. Some strains are descended from the Ducksfoot strain, retaining the original leaf shape while giving growers additional variations on the qualities of the buds themselves, and allowing growers to get a version of this strain in seed form. Most of these options are bred by Dutch Passion. Otherwise the main way to get a “duck” strain is to find someone who has one and take a clone. One of the most popular variations of the Ducksfoot (Ducksfeet?) 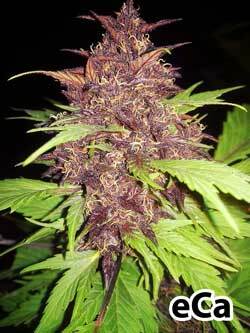 strain is called Frisian Duck by Dutch Passion. 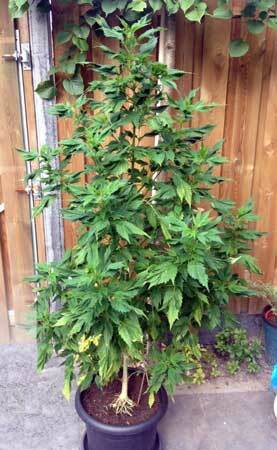 This strain thrives outdoors and grows with the traditional stealthy leaves. 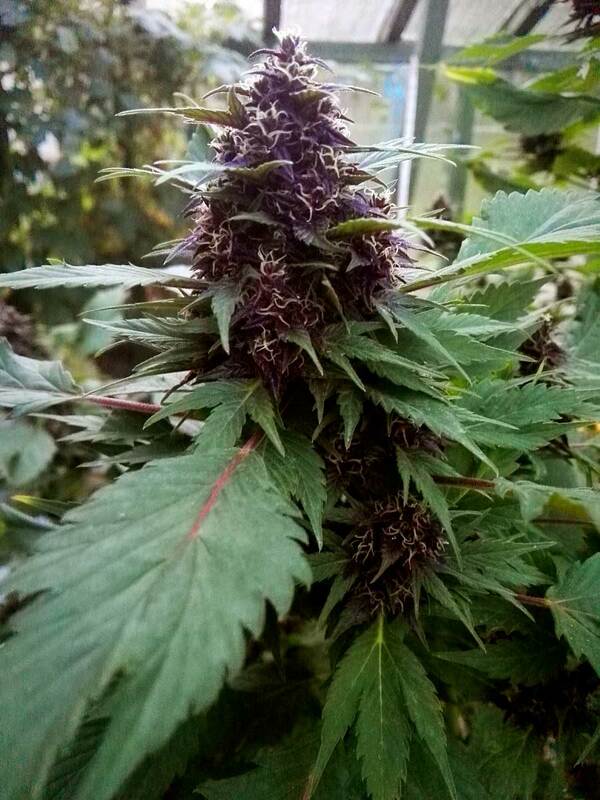 This strain also often makes bright, beautiful purple buds (with cold enough temperatures) that have a fresh scent that is sometimes even a little fruity. Frisian Duck plants react really well to growing in a living soil that’s been composted and amended with slow release organic ingredients. 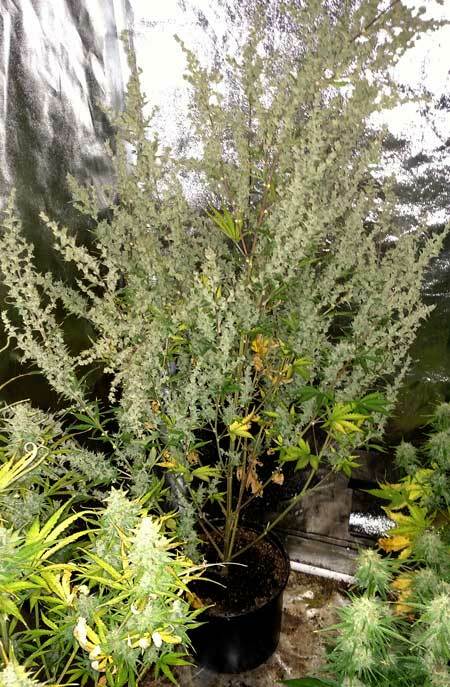 This Frisian Duck plant was grown outdoors in a greenhouse. 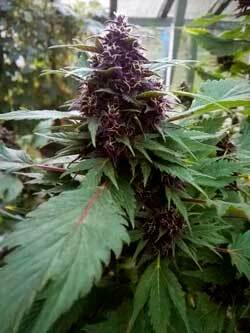 More than half of Frisian Duck plants grow bright purple buds! Frisian Duck is based on the famous Frisian Dew strain which also produces purple buds and has been bred for generations specifically for growing outdoors. 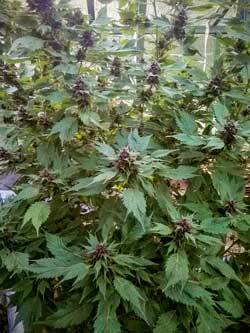 The Frisian genes thrive under sunlight, and buds are resistant to bugs and mold! 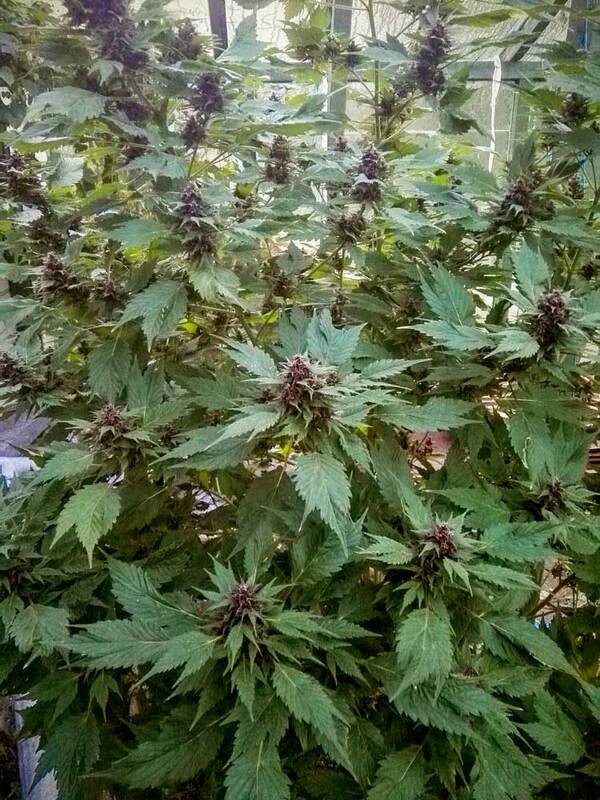 This Frisian Duck plant is just about ready to harvest! 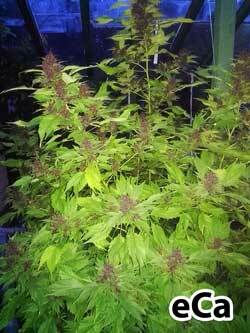 An autoflowering version of Frisian Duck, again by Dutch Passion. Dutch Passion is one of my favorite auto-flowering breeders, so this comes highly recommended! 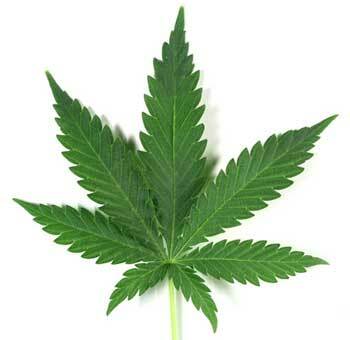 However, even with stealthy strains, be aware that they still smell like cannabis in the budding stage! What About Other “Stealth” Strains? 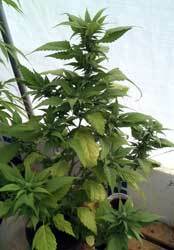 The buds of Dr. Grinspoon plants don’t “clump together” like most cannabis plants. Although the buds look a little different, they are just as effective! Sometimes I wonder what it would be like to cross a Dr. Grinspoon plant with a Ducksfoot plant. Could you make the ultimate stealth strain? 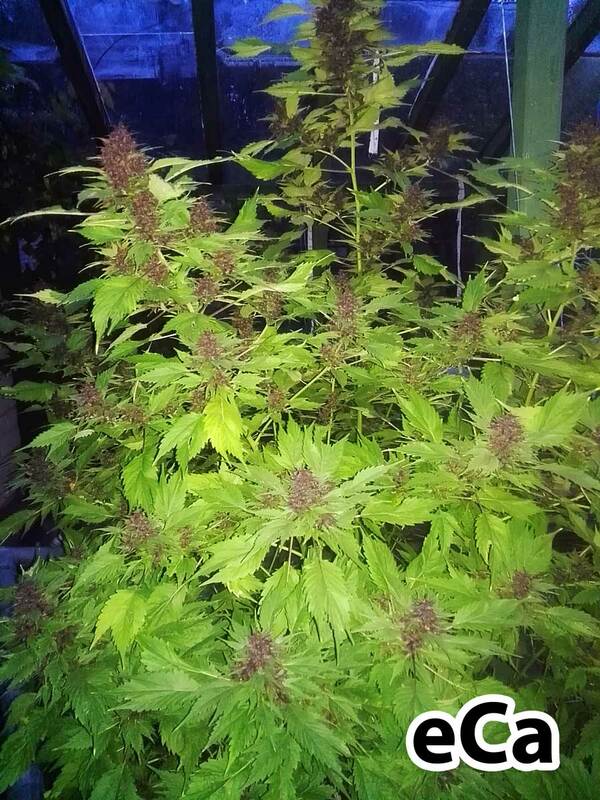 This is what these buds look like when the plant has been grown out – it doesn’t look much like a cannabis plant at all! Still, this growth pattern is a mutation which means that not all seeds will grow like this. This is an important fact to keep in mind with any of the current ‘stealth’ strains.